apple | Vishal Mehra and Co.
My blog’s headline proudly states “Discussing Digital Marketing, Aviation, Travel and Technology”. Technology? I’m sorry but over the past 16 odd months of my blogging timeline I don’t remember writing much about it. Of the 30 posts I have penned (typed…ok?) down, Digital Marketing, Aviation and Travel have got their fair share under the sun but the same cannot be said for “Technology”. My topic cloud on the right hand side states that clearly. Personally I love technology, and I consider myself to be fairly above par as far as tech geekery is concerned but my blogging skills have so far evaded giving out that impression. Heck, I would even go on to say that the other 3 passions I mention in the headline, Digital Marketing, Aviation and Travel, have all bloomed only due to my affair my technology and my adoption of tech trends, but somewhere Tech got sidelined. May be it was lack of a topic or may be I thought I won’t be able to contribute a unique POV. As luck would have it, last week I finally decided to put my iPhone 5 up for replacement due to battery issues (and even got myself locked out of twitter proper, but that’s a story for another day). I had to get myself a replacement device for the next 2 days. I had 3 options at home: A pretty old iPhone 3G (updated to iOS 4.2), a pretty darn old HTC Desire and a good looking Nokia Lumia 620, running Windows Phone 8. I did what any apple fanboy would, and went with the 5 year old iPhone 3G over the 5 month old Lumia 620. I tried fiddling with it for few hours, trying to do a clean iOS install but eventually gave up as Samsung’s under clocked 412 MHz processor proved too slow for my multi-tasking nature. 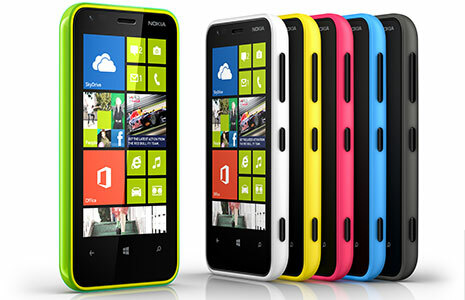 And thus started the idea of this post, picking up Nokia Lumia 620, running Windows Phone 8. First up, as most of you would know it’s a pretty good looking phone, well made and well designed, even ebbing some commentators to compare the recently launched iPhone 5C with it through memes on the Internet. And who wouldn’t fall in love with Nokia’s clear black display, which to me is one of the best in the industry to look and drool. Those were the days…. sigh!!! fling with a Nokia and Windows based device in years. 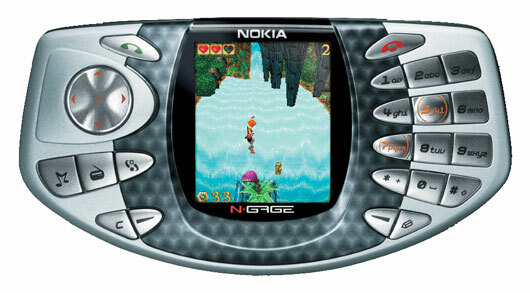 Since iPhone’s introduction in 2007, I have used only those and my last device in the pre-iPhone era was Nokia’s N-GAGE gaming phone, running Symbian. By the way, this Lumia 620 was the same device that got me to Barcelona earlier in the year and meet with footballing greats. Anyways, coming back, I instantly felt quite comfortable using WP8 and the learning curve for me was probably 30-40 minutes. Yes, I have used the device for short periods before which led to some familiarity but overall it wasn’t that tough. There are various things about WP8, which works really well. The oft talked about live tile concept is quite nifty which helps in making the OS more pleasing to the eyes. The typeface used throughout the OS is brilliant and clearly Windows Phone 8 was ahead of the curve in sensing design sensibilities for the consumer, as clearly depicted by recent release of iOS 7, which takes similar cues in typeface and animations. The metro design language, or “Modern UI Style” as its being called now, has worked quite well for Microsoft. Unfortunately an Operating System is not just about eye candy, if it were, Microsoft would have won Game-Set-Match quite a while ago. An operating system is essentially used to “operate” the device its installed on, and that’s where WP8 failed me 4 times in 2 days of using it. The reliability of the OS was at-par at best, and in this cutthroat world of smart devices at-par just wont cut it with the consumers. Another area where I felt WP8 needs immediate re-haul and attention is Notifications. As someone who absolutely requires notifications for everything, from news articles, to alarms, to appointments, to apps, and coming from the iOS camp, notifications on WP8 felt malnourished at best to me. Notifications are meant to deliver snack-sized pieces of content to you on the screen, so you don’t have to go searching for it inside the phone, saving you the time. It’s supposed to be glanceable and easily readable. WP8 does none of that. It does notifications on top of the screen, which come for couple of seconds before vanishing from the view, forcing me to open the NDTV and CNN-IBN app every time to check out the news item. Yes, I need to know all possible going-ons in the world. That’s what proper and glanceable notification systems do to human beings. I also figured out that usability of Office apps, especially Microsoft office or iWork, on mobile devices is over estimated. There were couple of instances where I could have done with using PowerPoint on my device but shrugged it off after 30 minutes of irritating use. Small screens and office apps don’t go along well. Take it from me. With limited app availability (as compared to Android and iOS) and even more limited options while syncing WP8 phone with a Mac, Windows Phone 8 devices will always remain a distant 3rd for foreseeable future, though still a much healthier and vibrant option for those recovering from webOS and BlackBerry shocks. Let me conclude with something I absolutely loved about WP8. Some of the pre-loaded ringtones, especially the one that featured Indian sitar and tabla (Rocking India) was brilliant and I loved it every single time I got a call. Sometimes even letting it ring out so I can hear the music. My next weekend project (whenever that happens) involves porting THAT ringtone to my current iOS 7 powered iPhone 5. I know I may be 11 months or so late with this post, but reviewing Windows Phone 8 was not really the point, it was more to do with my experience with it which happened as recently as last week. Considering that, my turnaround time for this blog post is quite commendable, right?